Thursday, Apr. 4, the South Asian Student Association and The Asian Cultural Celebration presented the Holi Festival, which celebrated the Festival of Color. The event was in Zanfino Plaza during common hour. The event was to commemorate the Chinese Year of the Pig. President Nitasha Gary, Secretary Rama Tanikelka, Vice President Ina Sharma are part of SASA, and they planned the whole Holi Festival event which was funded by The Student Government Association. 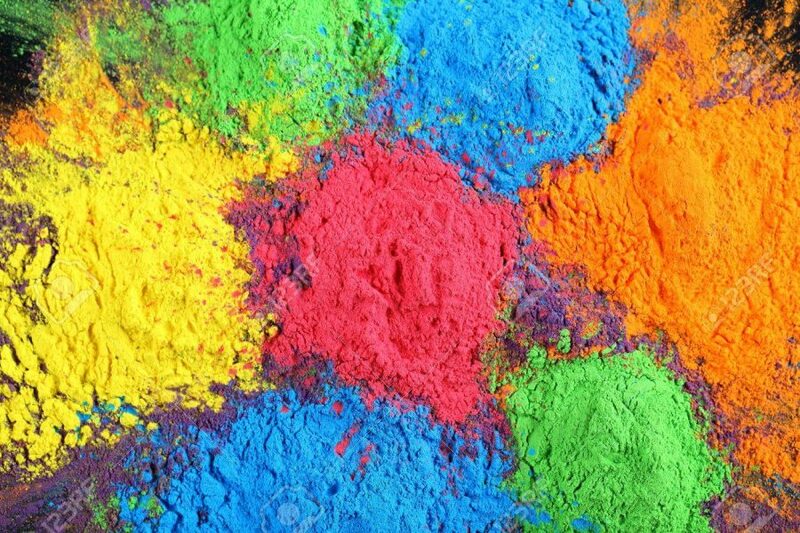 Holi is commonly known as the “festival of color” or “the festival of love,” and is a symbol of the arrival of spring, the end of winter and bloom of love. It is a traditional Hindu festival that is mainly celebrated in India. Traditionally, everyone who participates in the event is covered in colored powder. The hosts of the event gave participants white shirts that allowed them to throw all kinds of color without covering the clothes they were wearing under. There was a variety of Indian food served at the event for $2 per plate. Some food served included garlic naan, samosas, and kebabs. Students and Faculty could get henna designs, called Henna Body Art, by professional artist Scarlett Fever for $3. All proceeds for the event will be donated to a charity organization in India for children. There was live music from a variety of artists and genres. Students and faculty walked around the plaza and danced with each other in celebration. In tradition, the festival includes people covering each other with color powder. The range of color went from reds to blues, purples to yellows, greens to pinks. Holi helps the people to believe in the virtue of being truthful and honest and to fight away the evil, according to the official Holi festival website. On the day of the event, “people do not differentiate between the rich and poor and everybody celebrates the festival together with a spirit of bonhomie and brotherhood,” the website added. People are encouraged to settle disputes during the duration of the festival. The event was part of Asian Culture Week. All the events during the week were sponsored and funded by the Asian Cultural Celebration Committee. Other organizations and clubs involved include Campus Activities, Service and Leadership, Counseling, Health & Wellness, Asian Studies Department, Residence Life, Student Activities Programming Board, The History Club, Intersectional Queer Association, Korea Club, Go Japan, Lambda Tau Omega Sorority, Inc. & Mu Sigma Upsilon Sorority, Inc.